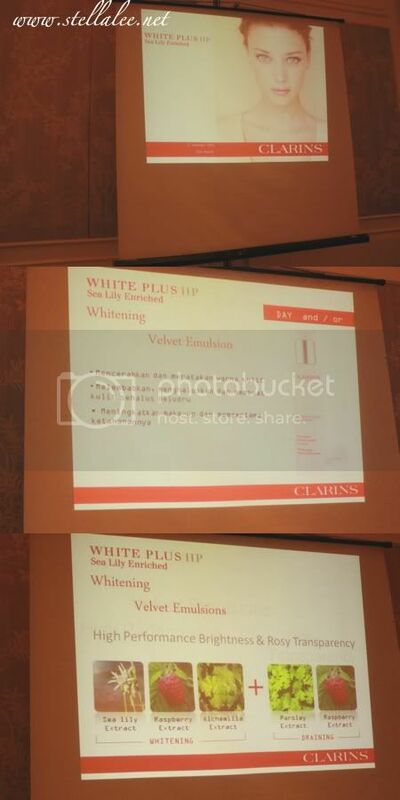 A few weeks ago I was invited by Clarins Indonesia to attend their White Plus HP Launching Event product. 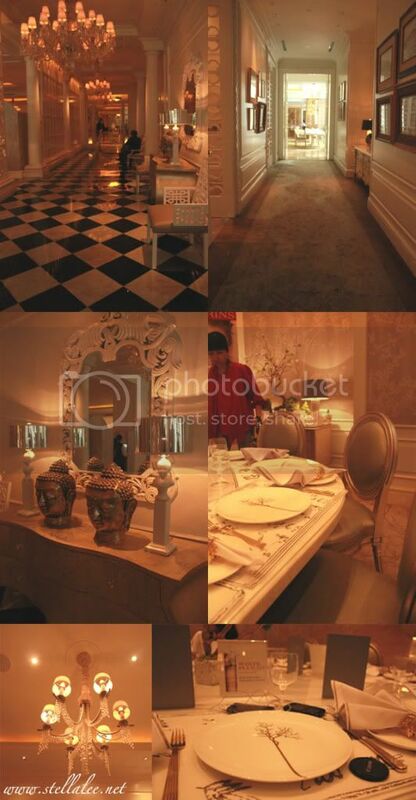 The event took place at The Orient 8 Restaurant, Hotel Mulia on Friday. And this is the first time I attended Clarins event. Before this I never used Clarins, but I know my aunts are using a few products from them. I had a 3 hours spare time at that day between my classes so I rushed to the place, but the traffic was bad, as usual. So I came in a little bit late. Inside I was mesmerized by the interior and all the decorations, I think they choose this place because it represents CLARINS a lot! The interiors are so feminine, mature, and sophisticated! I took these shots for my girlfriend, Vannie, who loves this kind of place, but I think I will also share it with you guys, probably if you're looking for a place for romantic dinner, or birthday, or wedding? :b Because the place is so pretty!! So here begins the presentation from Clarins staff. 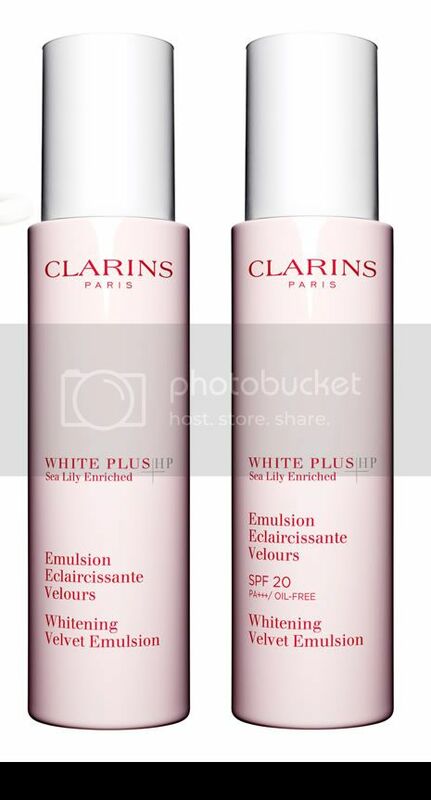 White Plus HP Skin Care Collection will be added by the appearance of its emulsion, brought to you by Clarins Indonesia. There will be 2 types available, one which is for day emulsion, and another one is a night emulsion. For those of you who don't know what emulsion is, it's basically a moisturizer in western. We were able to test the difference of both products there, I love the day emulsion texture more, it's thicker, and also contains sunblock! Clarins have natural ingredients, and the main point is the Sea Lily Extract which is really good in whitening your skin! Also other ingredients are Raspberry, Parsley, and so on! So Natural! And so here's my lunch that!! The portion is small and light, but enough to fits a woman's tummy! Gotta say it's tasty and I'm craving for more! Have you ever used any Clarins product before?? And i have no money to spend on it again, Sorrrryyyyyy!!!!!! Though, I feel really thankful for everyone who read my blog. Last month there are over than 15.000 different visitors coming to my blog with over than 150.000page views according to my blog report. I never thought my blog was that interesting. So thank you thank you!!! Thought probably it isnt as much as foreign top bloggers such as xiaxue, I still do feel grateful for it! 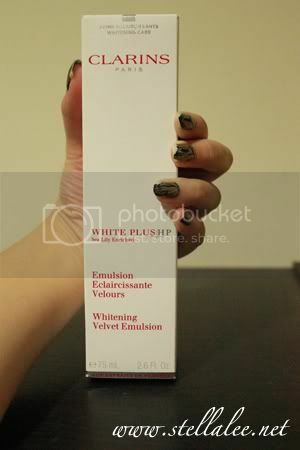 Hahaha.. emulsion is a moisturizer in asian skincare! And lotion is toner in asian skincare! STELLAAAAA itu makanan kayanya enak bgt!!!! lollll nanti kl g balik deh. moga" summer this year bs balik lama, ga ky kmrn cmn 2 minggu dadakan pulaaaa. lol.